Seven women and one man testified in front of lawmakers in Albany in the New York’s first public hearings on sexual harassment since 1992. That hearing followed the testimony of Anita Hill, whose story of sexual harassment sparked a national discussion on the pervasiveness of the issue. The hearing on February 13 was the product of years of advocates demanding an open forum to discuss Albany’s history of harassment and cover-up. “Today is the first hearing in nearly three decades to address a subject that is not merely overlooked, but actively avoided,” said State Senator Alessandra Biaggi. On the heels of the #MeToo movement, sexual harassment survivors and advocates for reform increased their demand to testify before state senators and assembly members. With a large class of freshman lawmakers eager to reform state politics, that demand was met early in the 2019 legislative session. 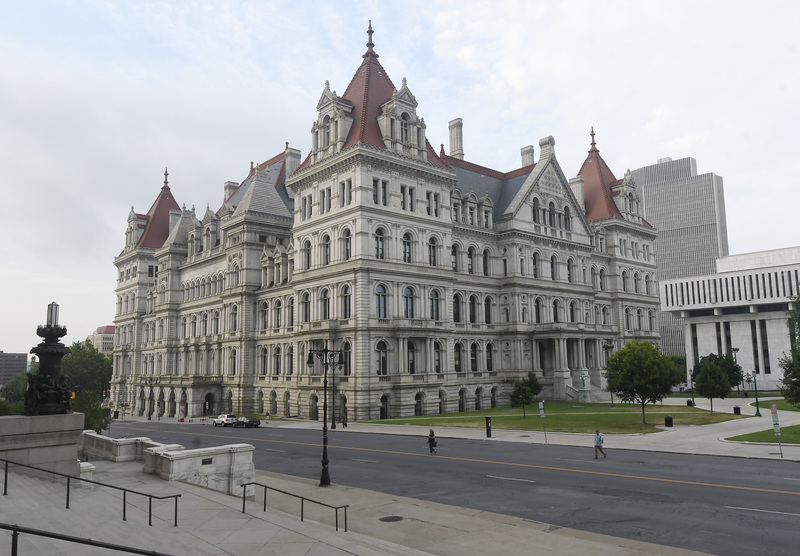 Senator Biaggi, who is Chair of the Ethics and Internal Governance Committee and a freshman in Albany herself, oversaw the hearing as state officials, advocates, and legal experts weighed in on the issue. The most emotional testimonies came from the 8 survivors of sexual harassment— former state employees who were victimized by elected and appointed government officials. Several of the women who spoke worked under the same boss and experienced similar mistreatment. They all shared stories of harassment and even sexual assault, threats of demotion, and miserable experiences reporting and pursuing their cases. The seven women who testified have formed the Sexual Harassment Working Group, which has been advocating for reforming the way the state handles sexual harassment cases. They want to see Albany implement a clearer reporting process, more transparent investigations, more comprehensive employee training, and a stronger definition of sexual harassment. Many of the lawmakers who sat through the hearing, which lasted around 11 hours, echoed their concerns.